Sunday, December 22, 12 to 4pm, annual charity bike race, registration noon, first race 12.30pm. Monday, December 23, club open as usual 7.30pm til late. Christmas eve, club open 6pm til late. Christmas day, club open 12 to 2pm. Boxing Day, open 8pm til late with quiz and bingo. Sunday, December 29, 1pm til whenever! Games day. New Year’s Eve, 8pm til next year. Party night with the village’s own Dave Redman. Saturday, January 4, 10am, Heptonstall Cancer Research Walk. Entry fee £5 including festive snacks and mulled wine. for info, contact Susan Greenwood on 07944 466724 or sue.greenwood@talktalk.net. Everyone is welcome to join in carol singing around the village this evening, starting at St Thomas’ Church at 6.30pm. This event usually finishes at about 8pm at the vicarage, but singers are welcome to drop in or out as they like. 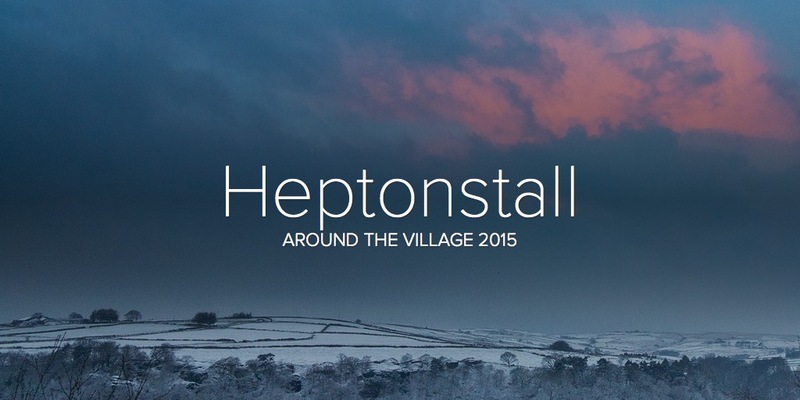 This weekend is a busy one in Heptonstall. On Saturday, Christmas trees will be on sale in Weavers’ Square from 3pm, with all proceeds to the Heptonstall Lights and Planting Group. Hebden Bridge Brass Band will play from 5.30pm for the switch-on of the Christmas tree lights. At 6pm they will move into the White Lion, where pie and peas will be served. 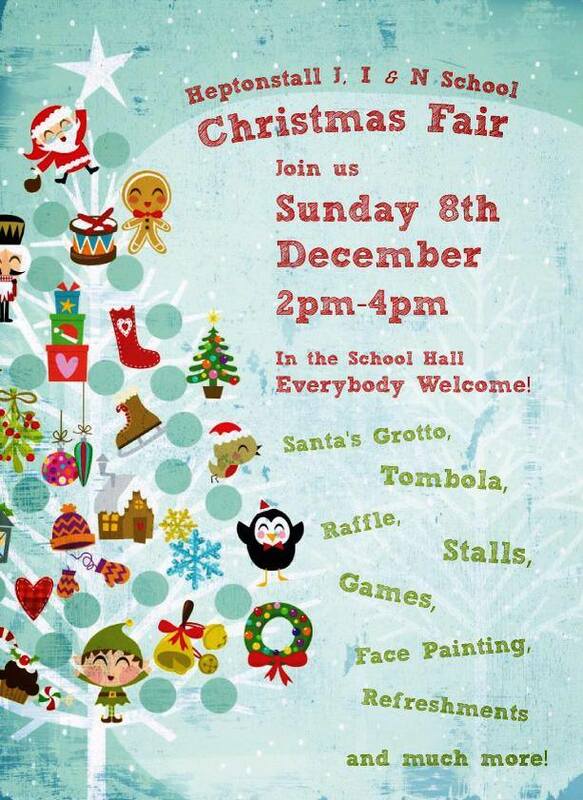 On Sunday, Heptonstall School’s Christmas fair runs from 2pm to 4pm in the school hall, with attractions including Santa’s grotto, games for the children, face painting and many other stalls. Sunday, 15 December, 3pm, Christingle Service at St Thomas’. Sunday, 15 December, time tbc, a concert of Klezmer music at the White Lion. Sunday, 22 December, 10.45am, Nativity Service in the Methodist Chapel. Children from the village and school are invited to take part in this enjoyable event. We also need a baby to play Jesus – contact Margaret Coupe on 01422 842550 if you want to put your baby on the road to stardom. Sunday 22 December 6.30pm, Village Carol Service at St Thomas. Wednesday, 25 December, 9.30am, Joint Christmas Day Service at the Methodist Chapel.